It's wonderful! Our cute girl marry a prince! And you have a very responsible job. You need to sew a dress for them. 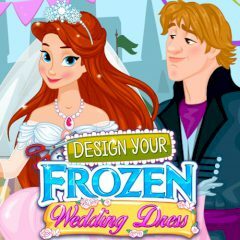 Choose a princess and get to design dresses. Add to the look a beautiful bouquet and makeup. Enjoy the game!